Tiger Ben Cousins | Woo Hoo! Just announced! 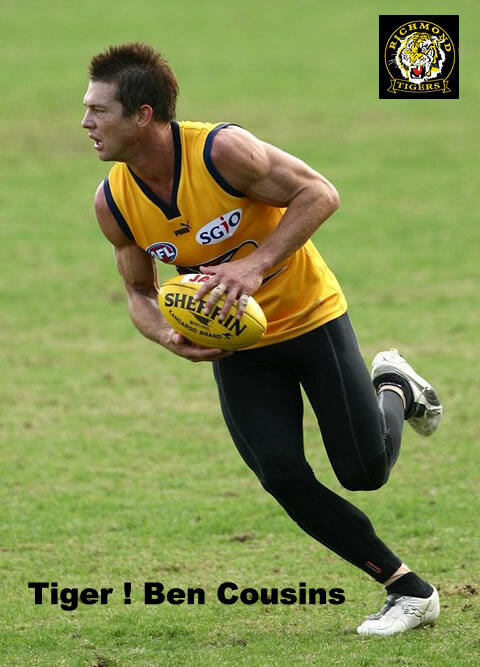 Ben Cousins has been draughted by the Richmond Football Club and is now a Tiger | Woo Hoo! Ben Cousins has been taken by Richmond at pick six in the AFL pre-season draft. The reaction to the announcement on radio has been one of support for the club in throwing the much maligned player a last-minute lifeline. There have been many callers congratulating the club and administration on what must have been a very tough decision, but like the tiger of old, we're strong and we're bold, for we're from Tiger, yellow and black, we're from Tigerland! → Tiger Ben Cousins | Woo Hoo!